PAUL YOON was born in New York City. He attended Phillips Exeter Academy and Wesleyan University. His fiction has appeared in One Story, Ploughshares, Post Road, Salamander, Glimmer Train, TriQuarterly, American Short Fiction, The Best American Short Stories 2006 (ed. Ann Patchett), The PEN/O. 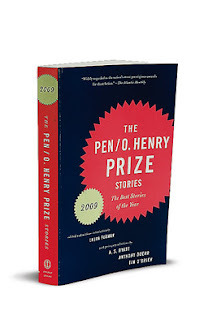 Henry Prize Stories 2009 (ed. Laura Furman), and elsewhere. His début short-story collection, Once the Shore, was published by Sarabande Books in April 2009. I’m currently living in the mountains of western North Carolina with my girlfriend, in a beautiful house on a hill, working on a new book. I read everything while growing up, literally. My influences and favourites are international: John Berger, Kazuo Ishiguro, Alistair MacLeod, Michael Ondaatje, Per Petterson, John Williams, and so on. Could you tell me a bit about your first collection of stories? Once the Shore is set on a fictional island in South Korea. The stories focus on the years before the Korean War, during the American occupation, to the present. Alistair MacLeod’s Island is one of my favourite short-story collections. That and John Berger’s Once in Europa. I’m not sure. Short stories have existed for a long, long time, and that is what matters to me, not whether or not they are a fashionable or a popular thing these days. And they will always have their devoted supporters, whether they be a few or many. I would agree. Personally, I don’t write to seek answers to anything. It’s more a way to illuminate some dark, murky corner—to see something better. I don’t see a difference. A story is a story. This would only be true, I think, if you added that writing novels is a good training ground for short-story writers. As I said above, I don’t see why length—how many words or pages—would matter when what novelists and short-story writers strive for, in the end, is to tell a story in some way or another. I think good fiction is indescribable—meaning your experience of it transcends words and moves you in ways that leave you speechless. So it’s difficult to describe that, and to tell you what exactly that is. And I think in some ways it’s not important—if it stays with you, it stays. And that is all relative anyway, no? I’m working on a book about children orphaned during wartime set on mainland South Korea. Looks like a book I would enjoy reading. Thanks for the recommendation, Eric! No difference between novelist and short-story writer?!! Well, you've got a long way to go to figure this one out, Paul. Shaman -- I think that's a little presumptuous (and rude) of you. First of all, you don't seem to have understood Paul's response -- I think most writers who work in both short and long forms would agree that neither is inherently more difficult than the other. It's just as hard to tell a good short story as a good long one, and that's what Paul is trying to say. In the interest of full disclosure: I happen to know Paul, and he is not some starry-eyed, naive boy. It doesn't matter how old he actually is -- he's wiser and more talented than lots of older people. Frankly, the whole "you've got a long way to go, young man" attitude is not only a cliché, but inaccurate in many cases. Also, it's a pretty off-putting way to address someone you don't know.